Want to have a more comprehensive understanding of the food trends that are emerging this year? You’ve come to the right place. In a nod to the fact that people are increasingly hungry for the “field to fork” story of the food they eat, we delved into trends spanning the entire supply chain. What’s more, we spoke to leading chefs and food influencers to get expert perspectives into where the food world is headed in 2019! These insights will be invaluable as you seek to enrich your brand narrative within the context of rapidly changing consumer priorities and an evolving media landscape. Whether your top priorities center around elevating your brand’s social media efforts, revitalizing a blog, upgrading your trade and consumer pitching prowess, or simply getting greater buy-in from the C-suite, the 2019 Food Trends will be a valuable accessory to your existing knowledge and support your marketing efforts. Download this FREE marketing resource, the second edition of our wildly popular annual Food Trends series, to learn how you can increase brand relevance by understanding and effectively addressing today's fresh food audience—on social media and beyond. 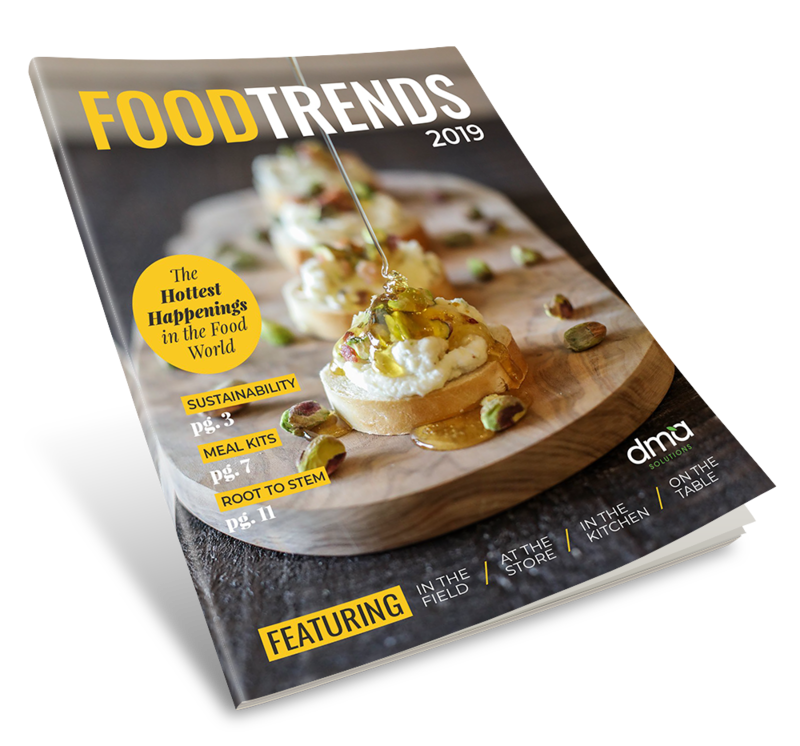 Download the 2019 Food Trends Today!